It’s tradition! 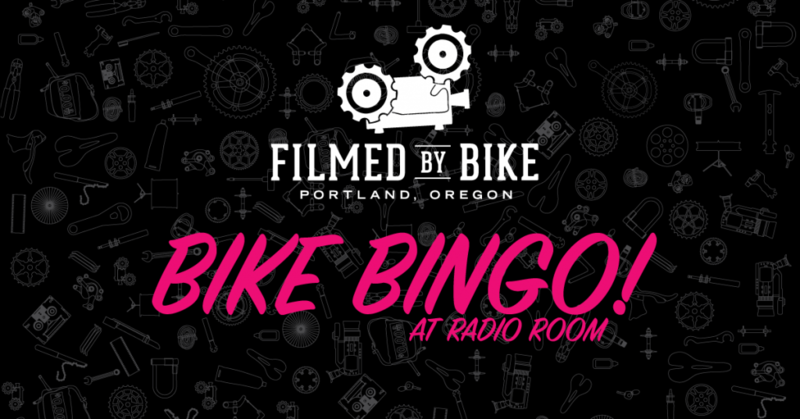 We help you get prepped for a jam-packed Filmed by Bike weekend with a little warmup action we like to call Bike Bingo. Come join us for a hilarious night of custom bingo winning patterns and our ukulele slinging MC Ralyn Magic. Magic may not be her real name, but Ralnn certainly earned the honored title after last year’s incredible Bike Bingo performance, and we’re thrilled to be welcoming her back again this year. Great prizes included super soft Filmed by Bike t-shirts, free Speed Raffle tickets and more. Radio Room has an awesome fire pit, outdoor seating, custom cocktails and a perfect dinner menu for a night like this. Come for the fun, stay for the rest of it all. THIS EVENT IS FREEEEEEEEE and there’s plenty of bike parking out front in the special Radio Room VIP Bike Parking Section. If you purchased a Festival Pass, your Badge is your magic card to get into everything. Early Badge pick up is available at Bike Bingo.